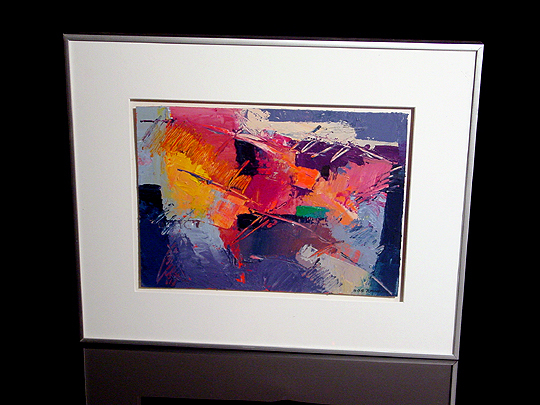 These works were inspired by a trip that Bob took to the American Southwest in the summer of 2000... both works contain Bob's usual bold slashes of color, but in a way that I have not seen before. They seem a bit rougher and more heavily layered than some of his previous works. 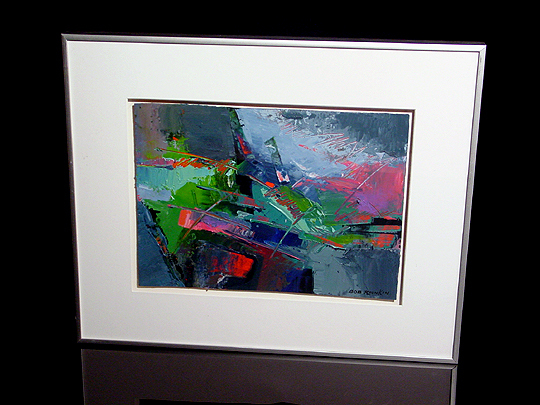 Pueblo Fire 1 uses a combination of blues and earth tones, while Pueblo Fire 2 uses blues and greens. These two paintings go very well together, so I have them hanging together... the combination of similar styles and different colors allows them to play off of each other quite nicely. Scroll down to see the complete set of these works.